Breast Cancer Awareness Month October: Will imaging replace biopsies in cases of suspected breast cancer? In a mammogram, which examines the breast using X-rays, it is often impossible to distinguish benign from malignant abnormalities in tissues and thus exclude the existence of a malignant tumor to the physician’s satisfaction. If the situation can’t be clarified by further testing, such as an ultrasound examination, an invasive biopsy must be performed. This idea led the DKFZ researchers to plan a study in close collaboration with the office-based physicians in Dr. Wolfgang Lederer’s team at Heidelberg ATOS Klinik and Dr. Heidi Daniel’s team at the Radiology Center Mannheim, who routinely conduct mammography screenings. 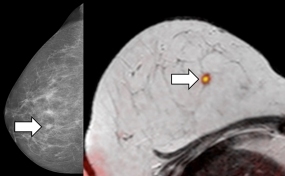 If a mammography shows a suspicious lesion, the patient is invited to the Radiology Center Mannheim for further testing and, as a rule, also for biopsies. “For our study, we asked affected women if they were prepared to have an optimized breast MRI prior to the biopsy,” Daniel explained. “We were surprised to get such a high rate of participation that we could proceed with the study quickly,” Lederer adds. “We owe our thanks to the many participants,” Lederer adds. In Schlemmer’s opinion, this does not mean that breast MRI is ready to replace screening mammography. “The positive results of our study are based on using MRI in combination with other tests. X-ray mammography also detects minute microcalcifications that indicate non-invasive breast cancer (DCIS), which do not appear in MRI.” According to Schlemmer, optimized breast MRI is most suitable for clarifying a suspicious finding. A biopsy would only be required if the MRI indicates a high likelihood for a positive finding. 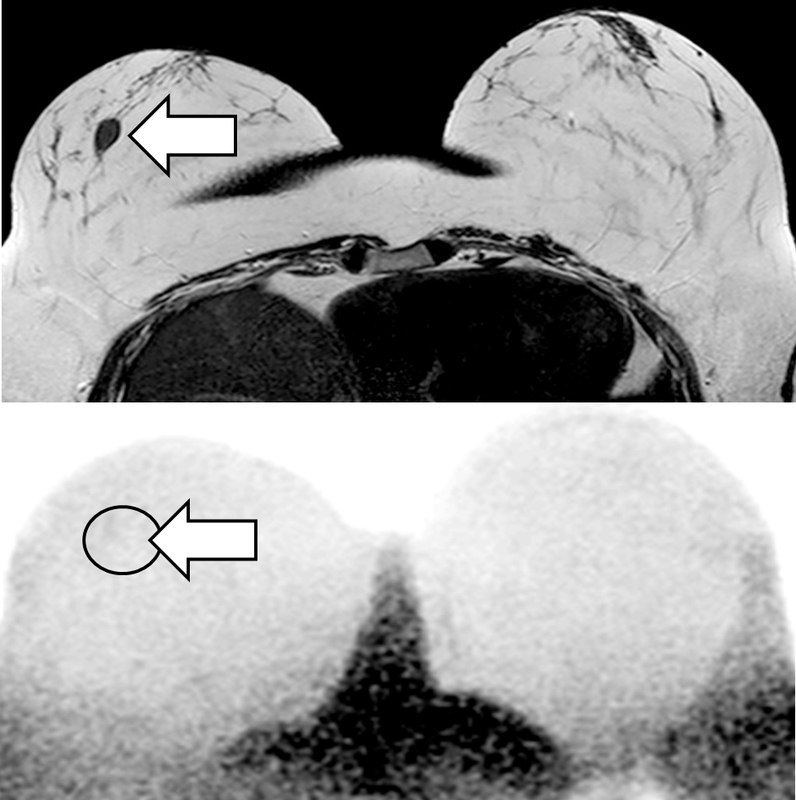 The scientists enhanced and optimized diffusion-weighted MRI specifically for their study. In collaboration with colleagues from the German Cancer Research Center, they established a quality management system to standardize and ensure the quality of breast MRI that can be used on all standard MR devices. The scientists have now published their promising intermediate results in the US journal “Radiology”. “We expect to be able to examine the 250 cases foreseen in the study by October, and we hope, of course, that our initial results will be confirmed,” says Bickelhaupt. Substantially larger studies will have to follow before physicians can refrain from performing biopsies on the basis of MRI scans alone, and before health insurance plans assume the costs of diffusion-weighted MRI. The DKFZ radiologists now plan to investigate whether diffusion-weighted MRI can also be used in other types of cancer to clarify suspicious findings and monitor the progress of therapies.